Tickets($15) are available locally in advance at Middlebury Mountaineer 802-388-7245 (cash or check only) . They are also available in advance through F3T online for $17. We anticipate our usual sell out but if any tickets are available they will at the door on the night of the event for $20. 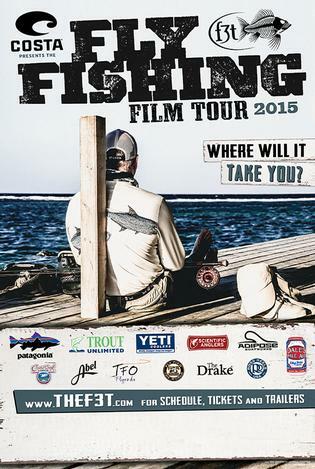 The Fly Fishing Film Tour is Middlebury Mountaineer's kickoff event for the Opening Day Weekend celebration. It is followed by the 7th Annual Otter Creek Classic Opening Day Fly Fishing Tournament, April 11-12th, 2015. Both the FFFT and OCC events donate all profits to the New Haven River Anglers Association. The New Haven River Anglers have used the proceeds from previous years events to benefit the Saunders Project, Muddy Branch Project, Eagle Park's Universal Fishing Platform, Youth Day, Fly Tying Nights, Green Up Day, multiple riparian zone improvements, collegiate environmental scholarships, and VT F&W Youth Conservation Camp scholarships. We hope you will join us for this entire weekend in celebrating another wonderful season in Vermont.